Far more than a simple technological upgrade, 5G represents a significant and risky turning point with major implications for health, privacy, property values and local control. The vast majority of the legislative bills promoting 5G infrastructure (already passed or about to pass in eighteen U.S. states) will strip authority from local governments—and citizens—over public rights-of-way.19 In other words, municipalities and residents will be unable to say no when utilities mount 5G antennas on lampposts and utility poles in their yards, businesses and schools. 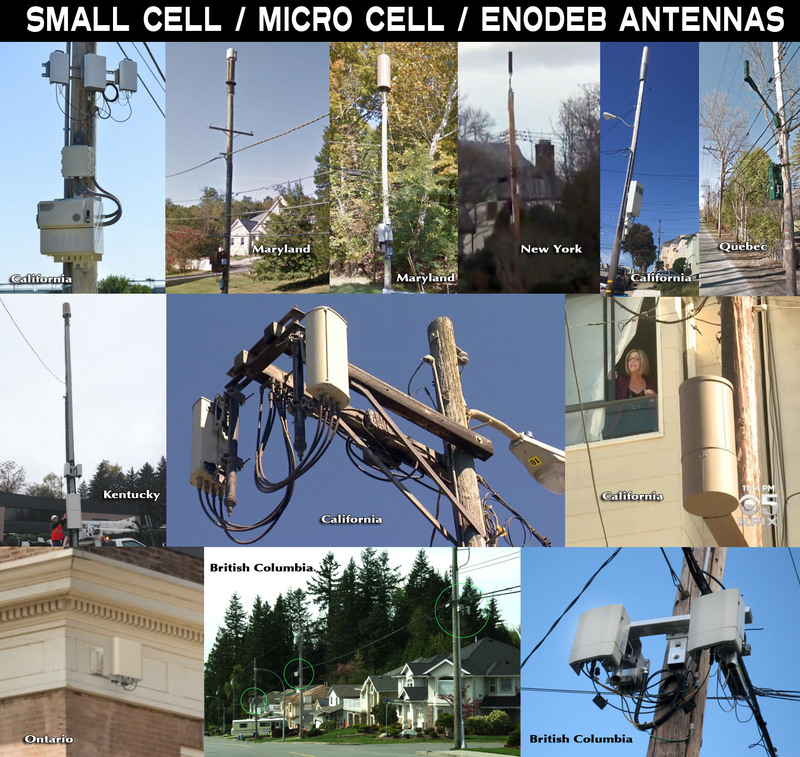 Studies already show a substantially increased prevalence of neurobehavioral symptoms and cancer in populations living less than five hundred meters from current mobile phone base stations.28,29,30 What will happen when clusters of powerful small cell antennas are sited within feet of everyone, everywhere? Retired U.S. government physicist Dr. Ronald Powell cautioned in a letter to the FCC that 5G would “irradiate everyone, including the most vulnerable to harm from radiofrequency radiation: pregnant women, unborn children, young children, teenagers, men of reproductive age, the elderly, the disabled, and the chronically ill.”27 5G’s proponents apparently are heedless of Dr. Powell’s objections as well as the American Academy of Pediatrics’ warnings to limit children’s exposure to wireless radiation, warnings that numerous other countries—but not the U.S.—have taken seriously.31,32 The upshot is that many Americans will no longer be safe in their own homes, particularly in the urban areas where 5G technology will be rolled out first. 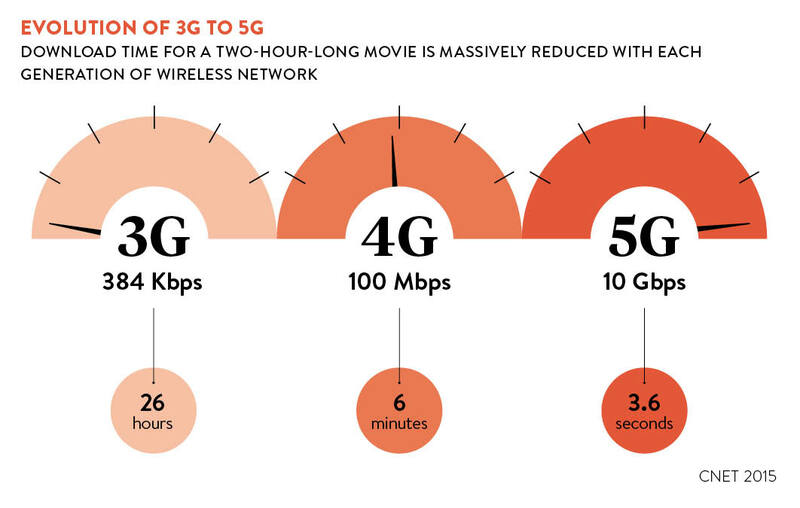 Tech writers like to attribute the impetus for 5G to consumers’ “really high expectations for wireless services” and their desire for “a high level of reliability, low levels of latency [lag time] and constant connectivity—anytime, anywhere.”7 Although consumers certainly do appear to be captivated by speed and shiny gadgets, less credulous observers suggest that 5G’s true beneficiaries actually will be the telecom giants and electric utility companies, rather than consumers. 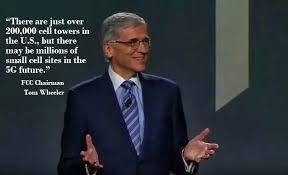 It is both astonishing—and unconscionable—that the FCC has given the telecom industry the green light for 5G without seriously evaluating the long-term effects of millimeter wave radiation on human or animal health. Consumers would do well to return to hard-wired technologies whenever possible, including corded landlines and wired Internet connections (which are faster, more secure and safer anyway). Other steps that citizens can take to protect themselves and their loved ones include checking the status of 5G legislation in their state (the Environmental Health Trust provides a comprehensive summary)19 and contacting legislators to express concern (see sample letter below); following recommendations35 for using cell phones more safely; using wireless devices as little as possible—and always limiting children’s exposure; powering off all wireless devices at night to allow the body to recover; and asking themselves whether the putative benefits of 5G are worth trading away health and privacy. Please oppose 5G legislation. 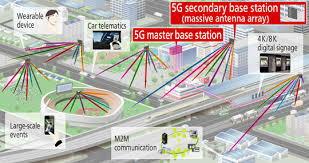 Fifth-generation mobile systems, known as 5G facilities, would place clusters of small cell antennas within feet of single-family homes and on multifamily homes, schools, day care centers, recreation centers and more. Research shows that 5G millimeter wave radiation will make people sick, especially unborn children, young children, pregnant women and individuals with chronic illness. The adverse health effects caused by 5G facilities are likely to include cancer, infertility, headaches, insomnia and more. The World Health Organization’s International Agency for Research on Cancer has classified radiofrequency electromagnetic fields as a Group 2B carcinogen based on an increased risk for glioma, a malignant type of brain cancer associated with wireless phone use. Dr. Olle Johansson, neuroscientist at the Karolinska Institute (which awards the Nobel Prize for Physiology and Medicine), has stated that the proof of harm from radiofrequency electromagnetic fields “is overwhelming” and that “children can never be allowed to be victims of…a WHO-classified possible carcinogen.” Dr. Ronald Powell, a Harvard-trained physicist who worked at the National Science Foundation and the National Institute of Standards and Technology, shares similar concerns about the potential for widespread harm from radiofrequency radiation. I know that the telecommunications industry provides significant financial Sup>port to many legislators, but our representatives should be paying attention first and foremost to the health of babies and children and the strong warnings about 5G being issued by international experts. Absolutely criminal. They must come down in the future. Chemtrailing supplies need to be stopped. Stop the supply on rail lines u stop the spraying. God help us soon, Amen. This article is too long and involved and too detailed. Why can’t you condense it into an article I can understand? We are already using 5G here in Saskatchewan, Canada. I am aging by the hour badly. Thanks for full size image! I.e., isn’t it interesting that one of the alleged major health-hazards that were a huge point of contention about AIRPORT SCANNERS was those scanners’ use of MILLIMETER-WAVES could allegedly cause CATARACTS AND CANCER AND STERILITY AND FETAL-HARM in passengers? So now, with the ubiquitous application of 5G technology transmissions (etc.) throughout the nation (and soon all over the Earth! ), even the argument over the alleged health-dangers of Airport Scanners is beginning to feel quaint: if the above article’s facts are true, could there soon be NO ESCAPE from this potential health-harm, no matter WHERE we might go? So maybe Elon Musk now actually has an ADDITIONAL point in favor of his plans to leave Earth behind and to colonize Mars. But there’s a problem: will 5G also go along for the ride? Its an agenda… If you don’t fight for your life now, when the cooking pot lid goes down, then what?… … cook then. I’m getting the impressions that entire cities were people are expected to concentrate already have a different name. Concentration Area. Mystery School hirelings will guard the exits. Free cell phone use limited to the city’s boundaries. William Cooper best researched them out in his Mystery Babylon series. This wwCult has controlled western psychological herds for many generations. Sheep are culled if they disrupt the main herds direction. My culling is still being performed. I tried diverting my local herd away from the buffalo jump if they were bison. I’m sure when everyone is getting cancer, they’ll start some useless “RACE FOR THE CURE” crapola. Of course they never seem to “find” a cure- for ANYTHING! Thank you for the sample letter, for what it’s worth I’ll copy and forward it to the mostly useless ‘public officials’ that generally never respond to my letters about smart meters. Can we wrap these things in tin foil or something? How can we shield against this onslaught?